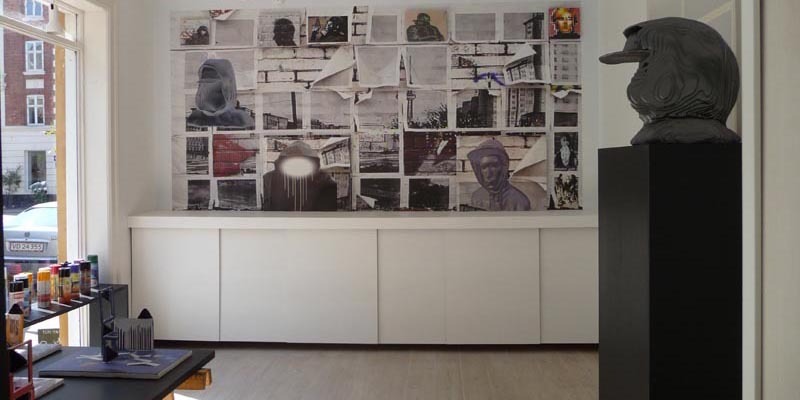 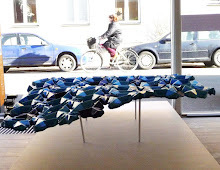 The work is made in Denmark 2009. 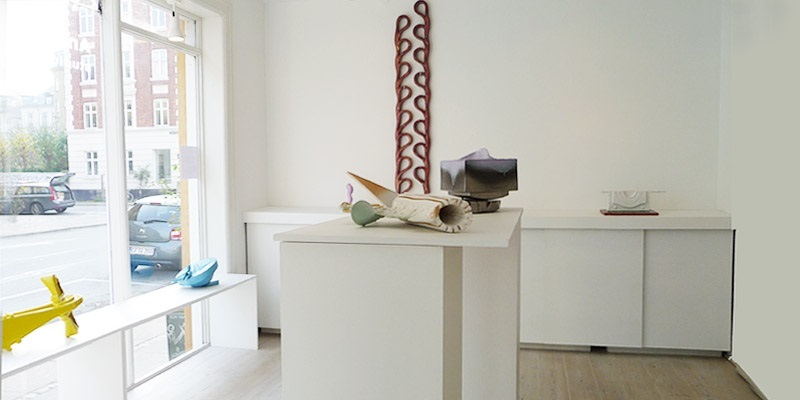 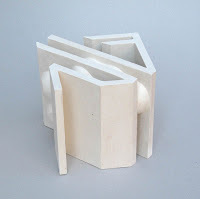 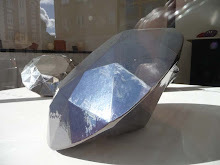 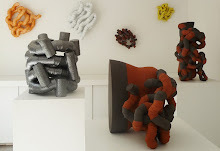 These objects are the result of a collaboration between Paul Scott and Ann Linnemann, which began in 2004 when they worked together on sculptural forms for their exhibition Body Blue at the former Gallery Nørby in Copenhagen. 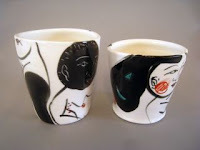 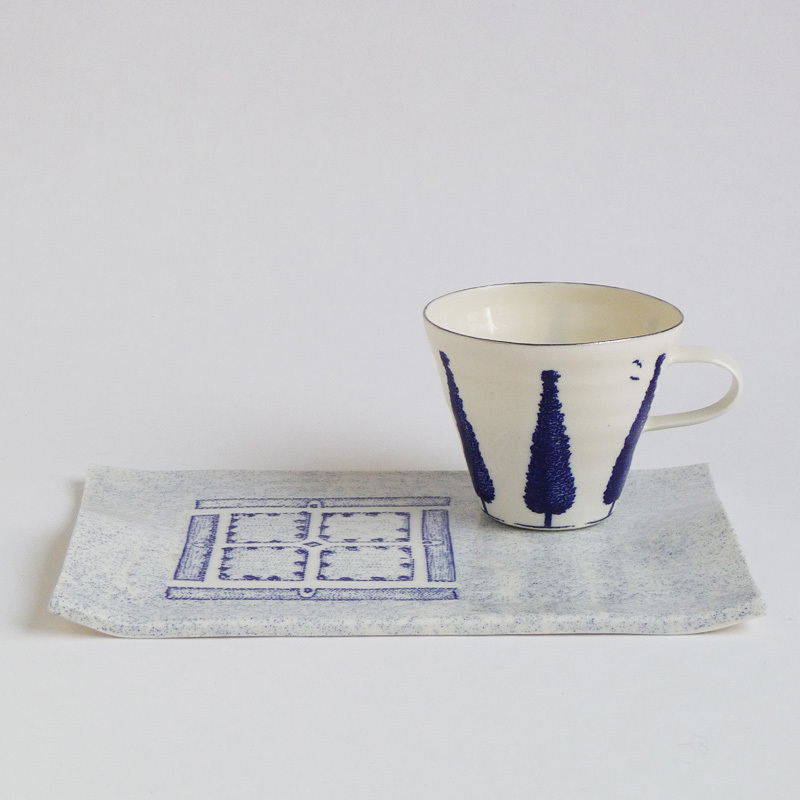 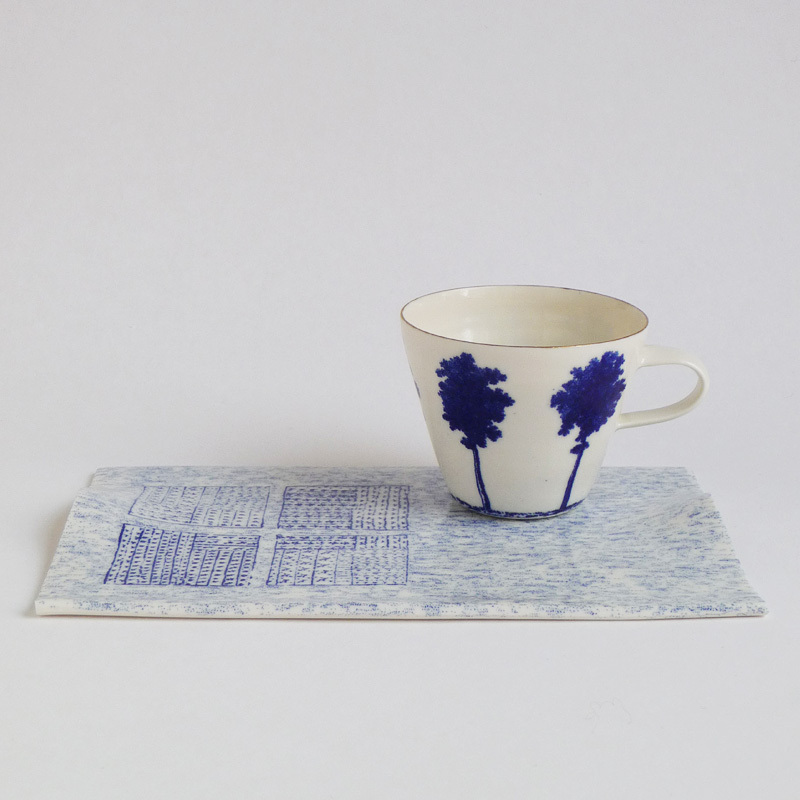 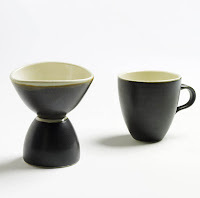 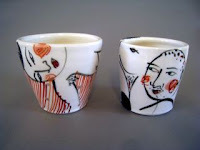 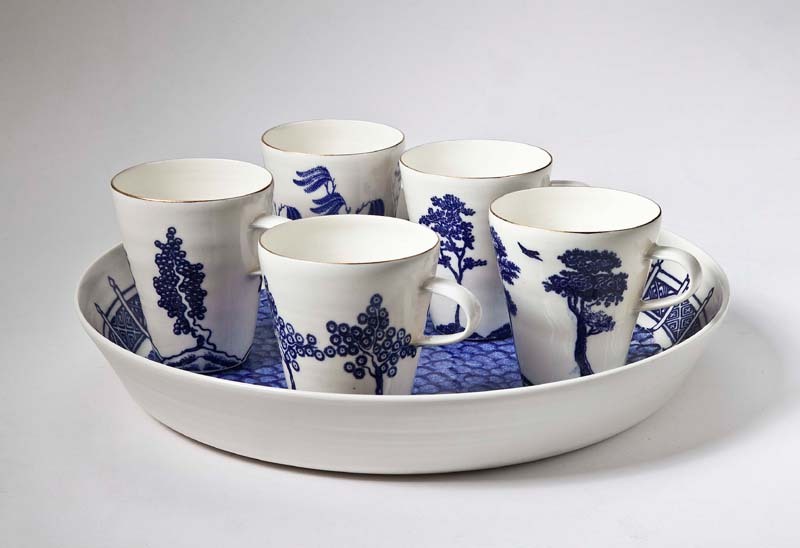 The printed and lustered fine porcelain cups are the first of a planned series of tableware sets and objects. 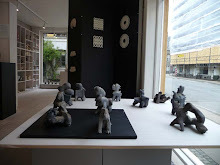 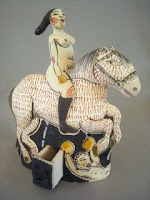 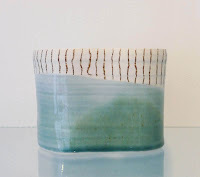 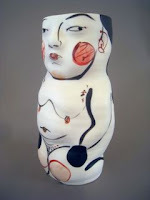 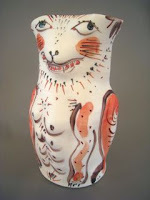 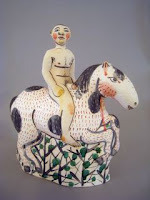 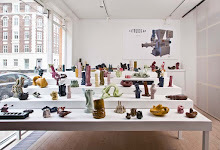 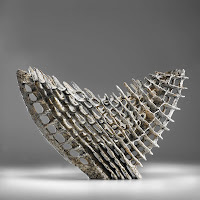 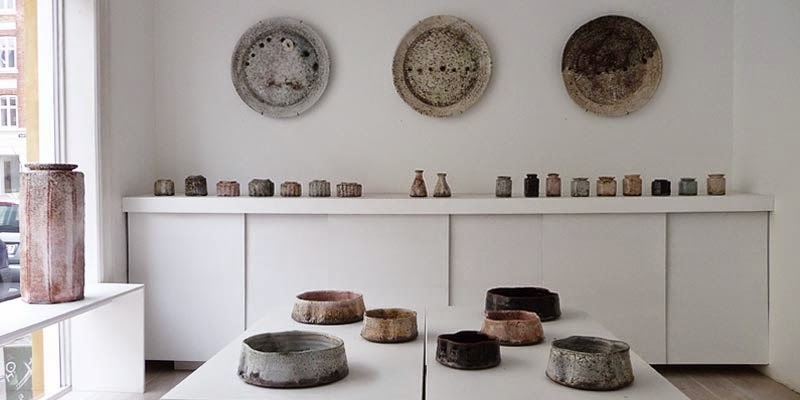 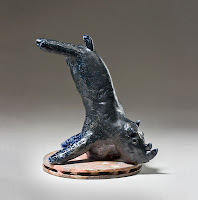 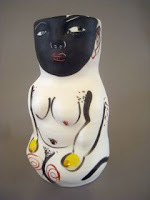 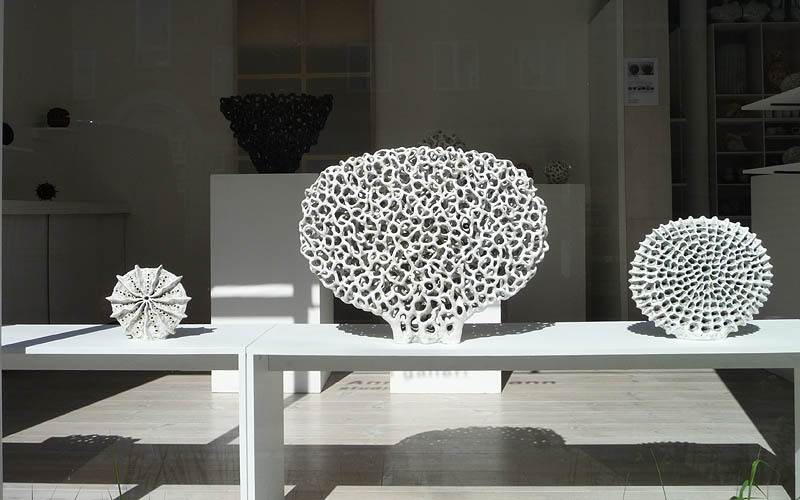 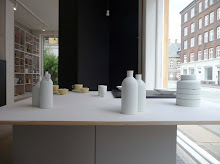 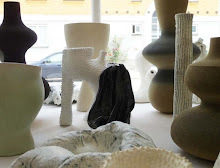 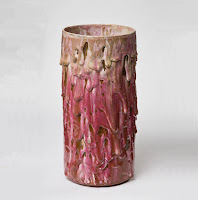 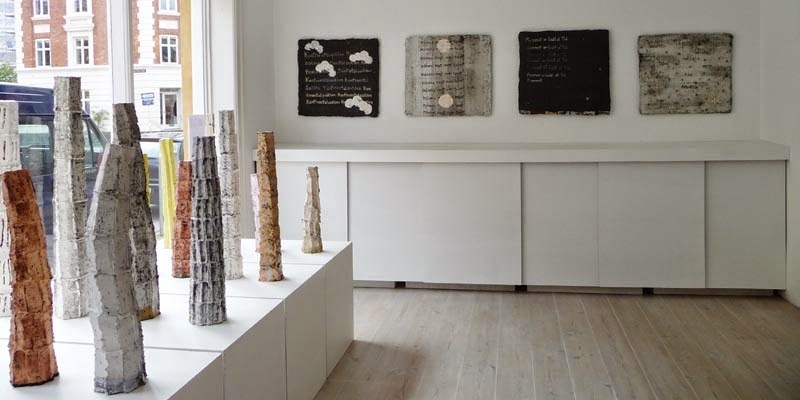 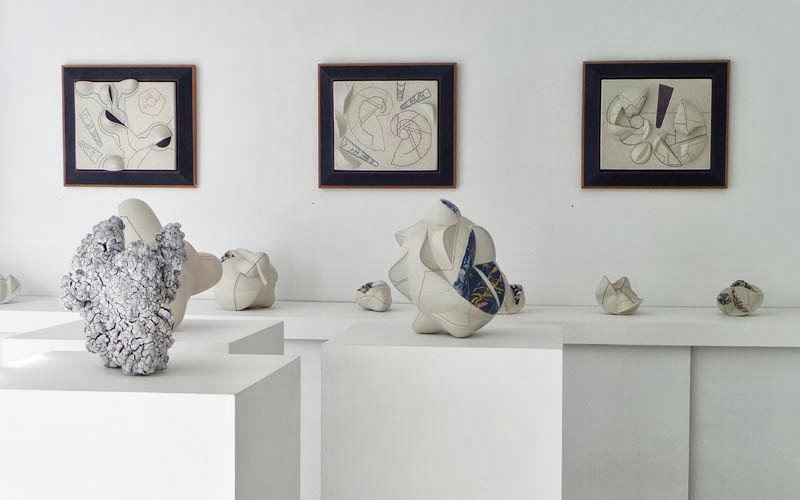 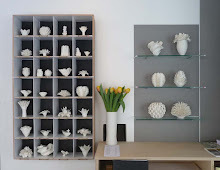 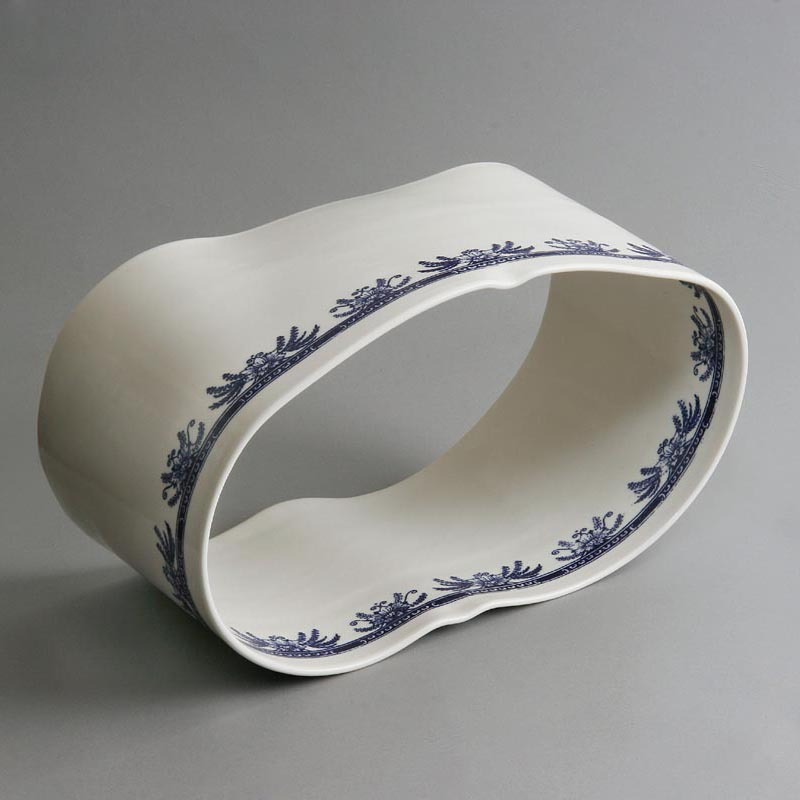 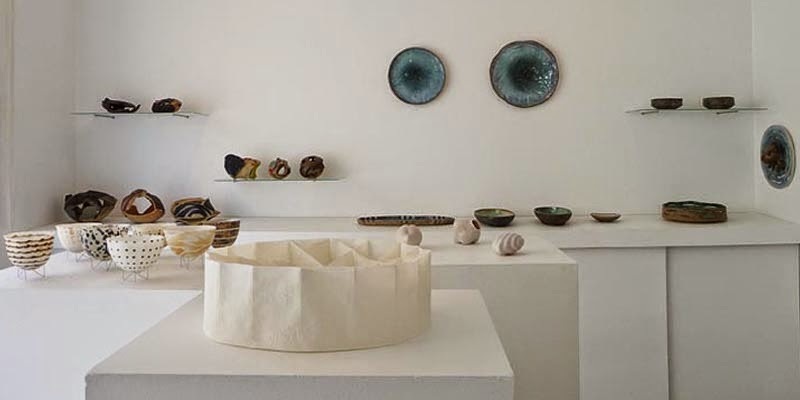 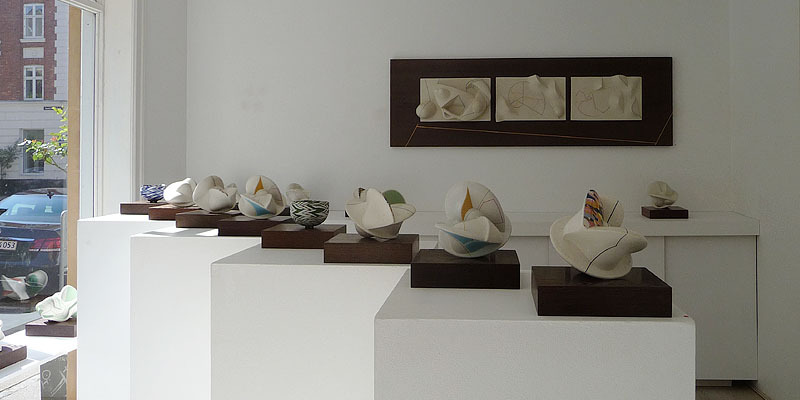 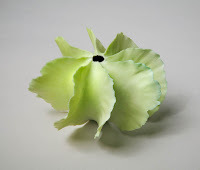 The porcelain forms are hand thrown and glazed by Ann in her studio in Copenhagen, Denmark. 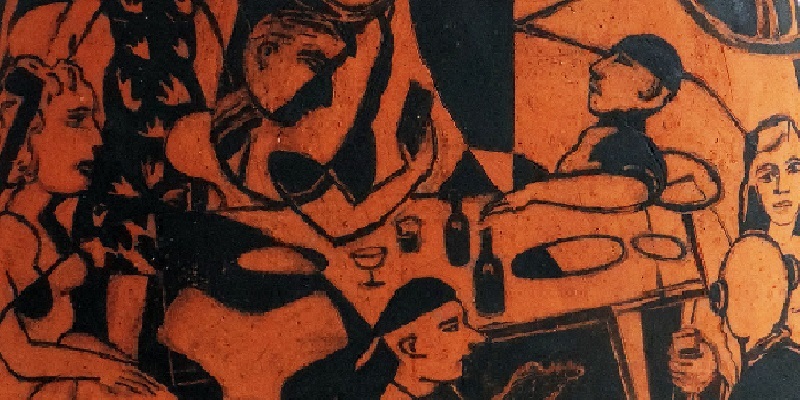 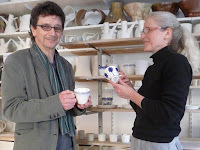 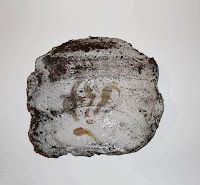 Paul creates the graphic then screen-prints in-glaze ceramic decals in his studio in Blencogo, Cumbria, England. 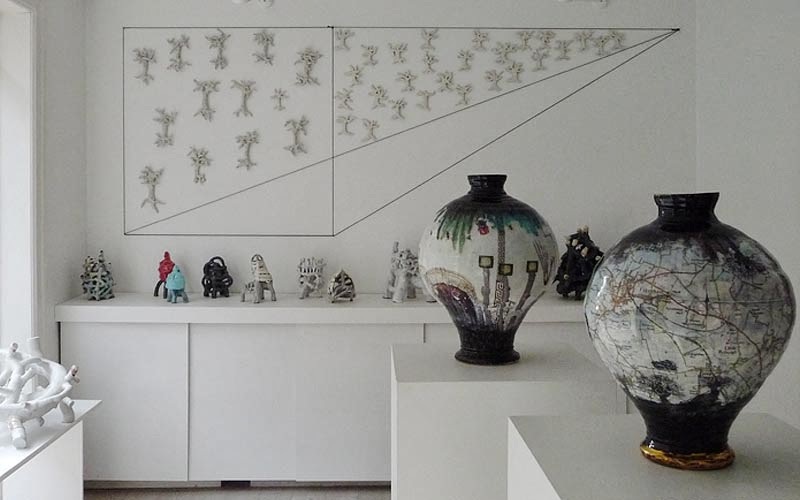 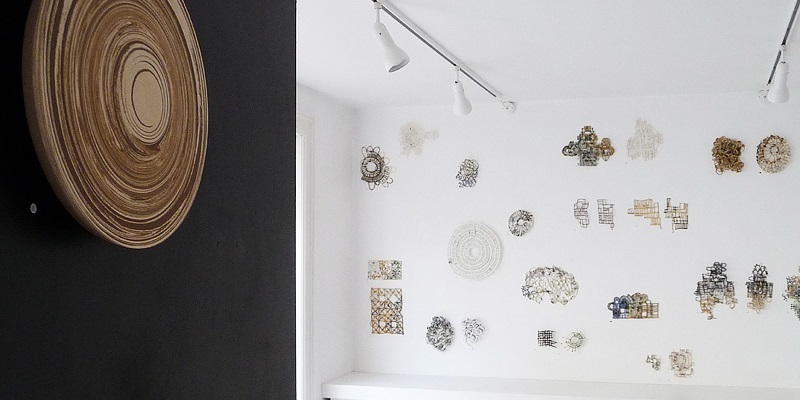 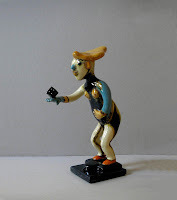 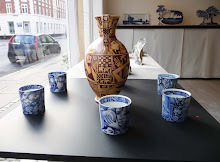 The finished objects, which undergo four firings before completion, are created both in Copenhagen and Blencogo - as each artist shares and applies the available limited printed decals to the porcelain before adding the gold or platinum lustre rim. 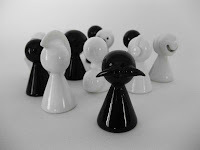 All forms are signed and stamped. 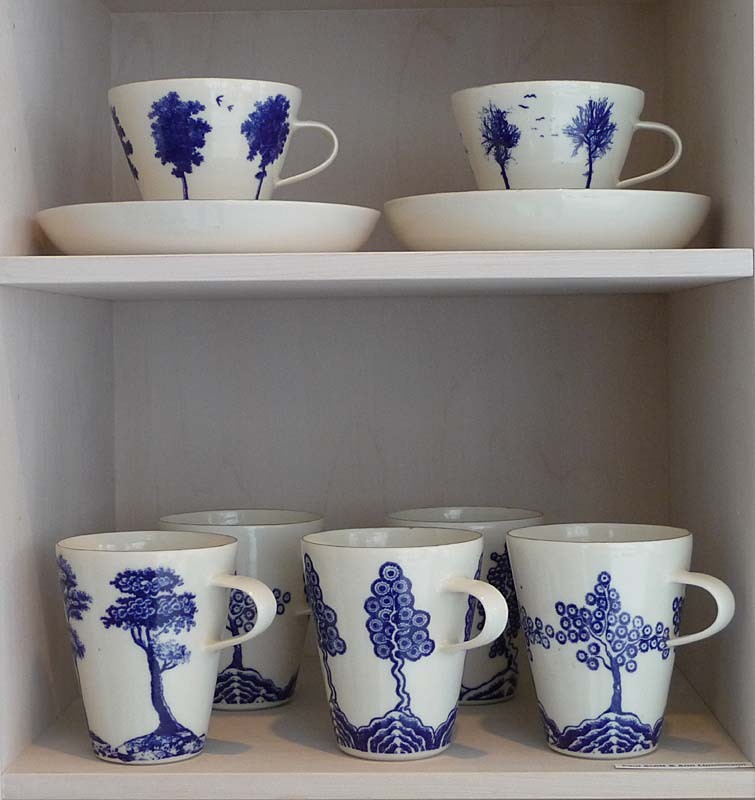 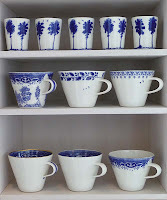 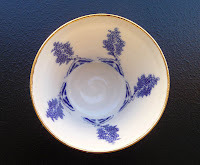 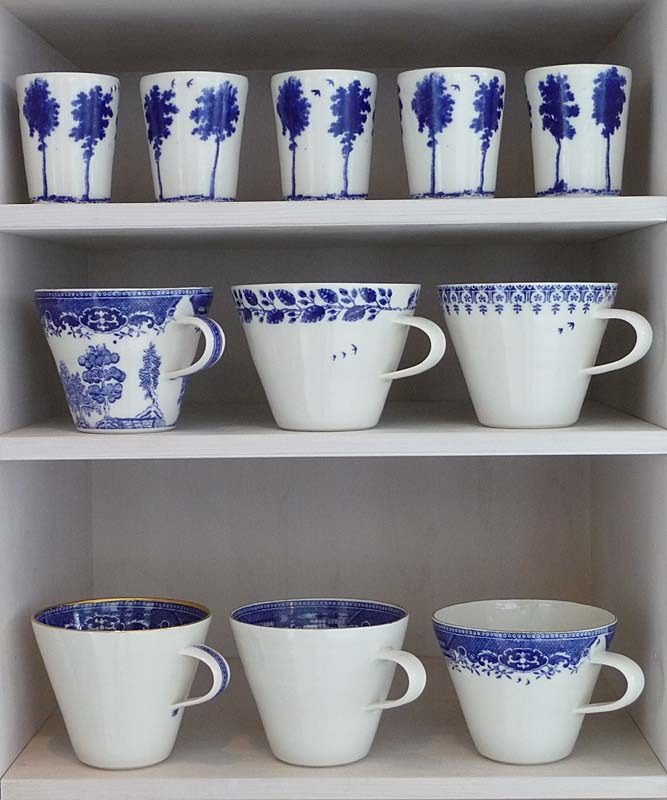 The patterned graphic surface of some of these first cups is based on trees in Kongens Have (Kings Garden) Copenhagen. 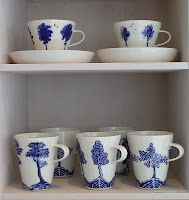 The summer tree sets are also available as tea-light holders, and small porcelain ‘shots glasses’. 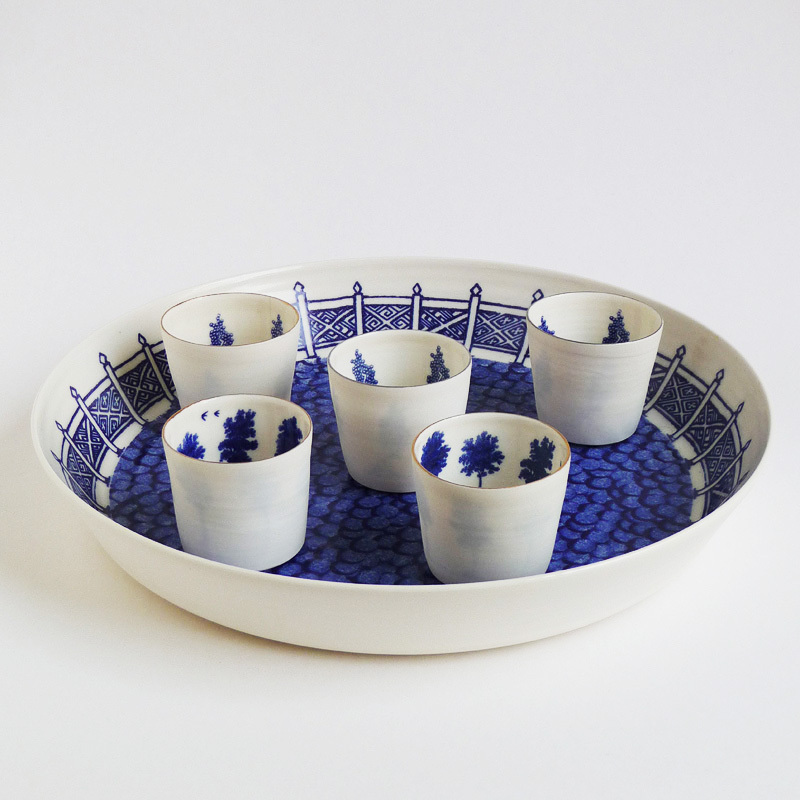 Other new patterns include rims and borders adapted from industrial prints, and porcelain plates and trays. 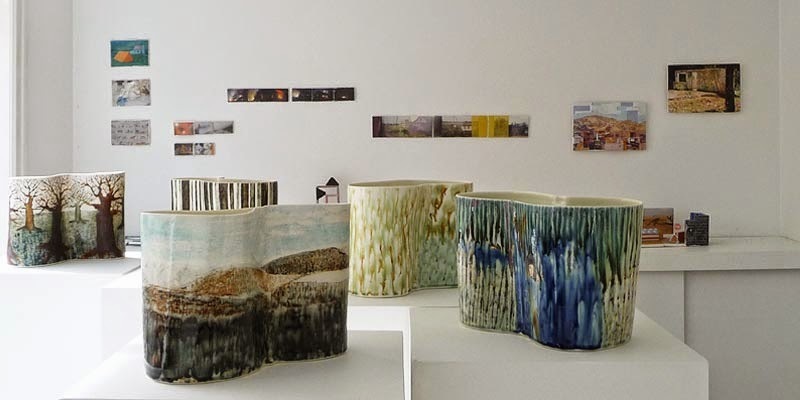 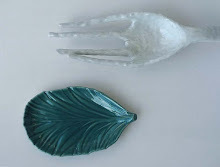 We are interested in the way the hand made and the industrial can meld to create objects of use and beauty, but although we are working with thrown form and print we are not interested in our own 'mass production'. 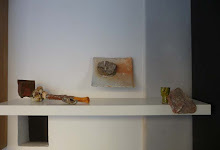 Only a limited number of the objects are being created. 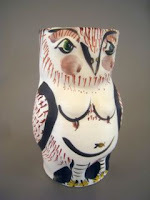 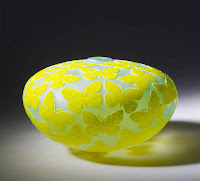 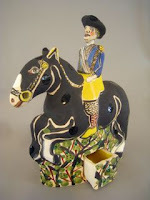 Half of the forms with a particular pattern or graphic will be available from Paul and half from Ann. 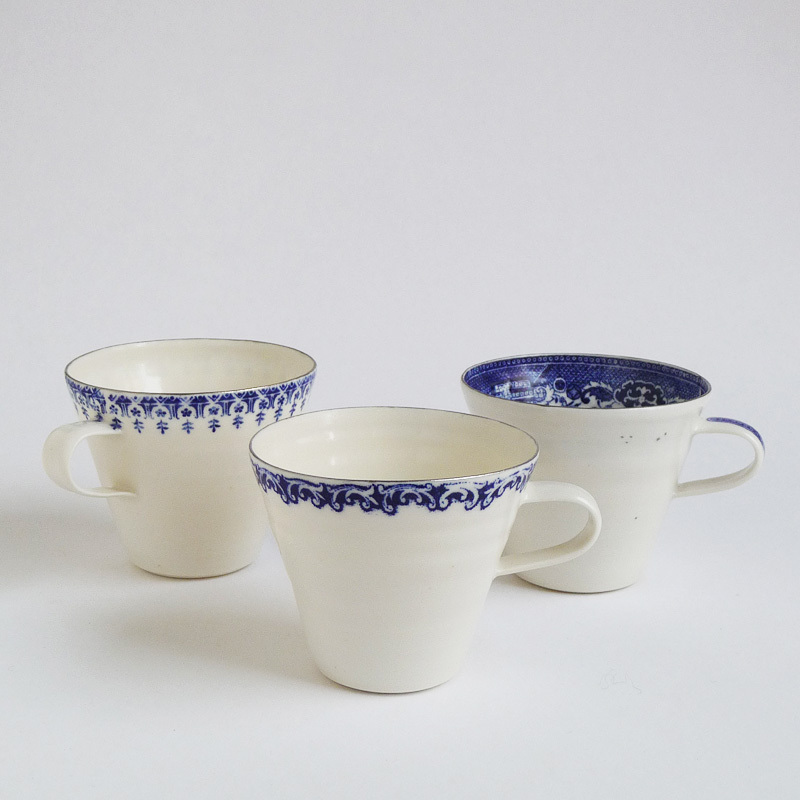 The cups lights and shots are the first of the series to be made available, a small number were exhibited and sold at the Scottish Gallery in Edinburgh during the summer 2008, and others are available from Ann’s Gallery in Copenhagen, and from Paul Scott in Cumbria.